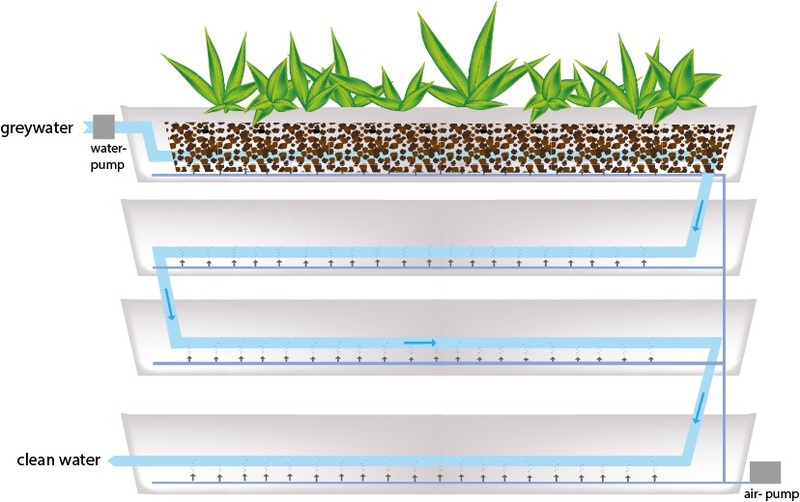 Our vertECO technology treats waste/greywater within a vertically constructed plant-based wetland. The underlying principle is the employment of specific plant species in a special sequence to encourage the cleansing of polluted water through microbiological activity occurring in the root-zone. 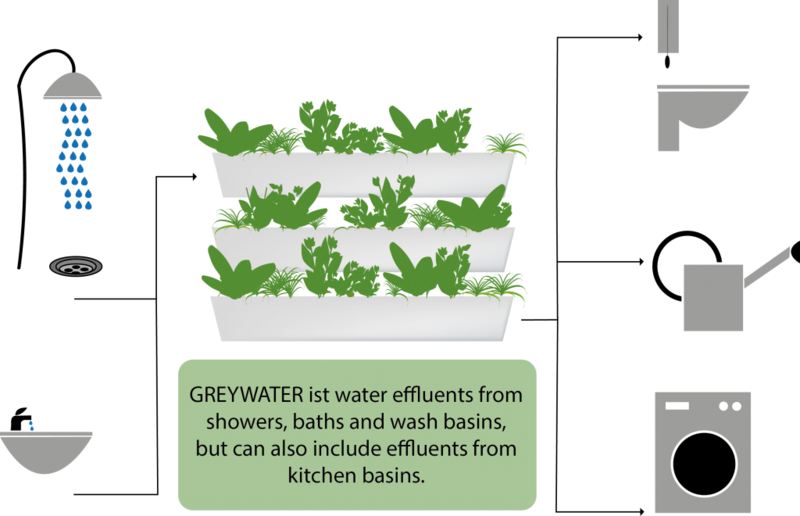 Vertical set-up optimizes the use of space whilst relying on gravity to distribute the water across the system. vertECO can be installed outdoors or indoors and combined these factors permit the key innovation of integrating ecosystem services and green aesthetics directly into buildings, resulting in multiple benefits. vertECO is a reliable cost saving solution for treating solid- and faecal-free wastewater offering very high contaminant removal rates while consuming very little energy. Buildings with high water consumption and green areas (such as hotels) stand to benefit the most from this technology. Noticeable microclimatic improvements place a lower demand on indoor climate conditioning, encouraging energy savings, while the prominent and attractive design professes a clear commitment to sustainable, eco-friendly and green solutions. 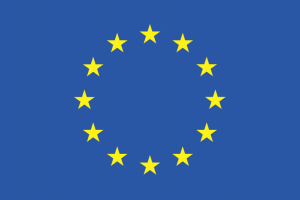 The technology complies with all of the possible reuse possibilities of the EU-directive for urban waste water treatment 91/271/EC and for the Spanish legislation for water reuse RD1620/2007. This legislation includes water reuse for garden irrigation, toilet flushing, ornamental water bodies and street cleaning. The size of the vertECO unit can be modified according to water consumption. installation requires dual pipe connections for separate greywater and blackwater streams.